Static infographics are today the most widely used formats for graphic presentation that is published as a supplement to the text in the form of images with vertical or horizontal orientation in news stories or other editorial publications printed or online while meeting the requirements of each media. Visual stories must show true facts, accurate data, simplify and provide clarification. The goal is to communicate a story in a clear, effective and accurate manner. Need to make an infographic? Fast and easy? You’ve found it! This is a stunning collection of the highly popular infographic vector element sets. All sets contains hundreds of elements already by themselves and now as a bundle you’ll get 1000+ vector elements. Download here. Minimal business infographics vector elements resume cv set. Fully editable vector file saved as EPS10, CS EPS and AI CS6, objects contains transparencies. Rescale to any size. All elements shown in the preview are included in download. Download here. 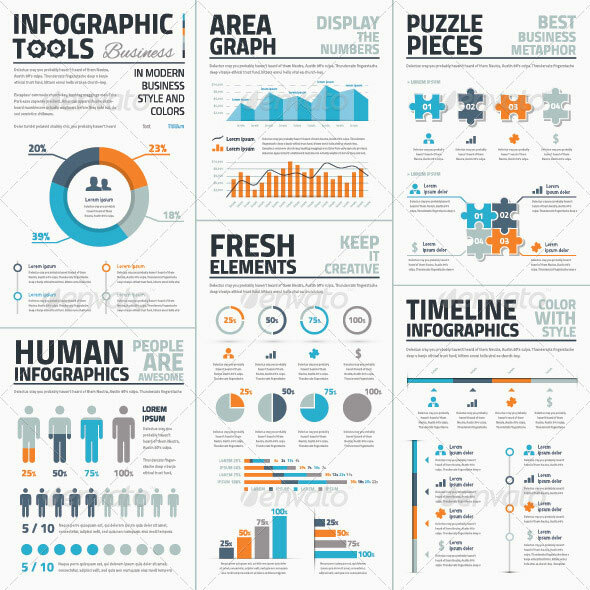 This is a stunning collection of the highly popular infographic tools sets 6-10. You’ll get hundreds of vector elements ready to use in your graphic projects. All elements are 100% vectors made with Adobe Illustrator so you don’t have to worry about losing quality when resizing. Download here. 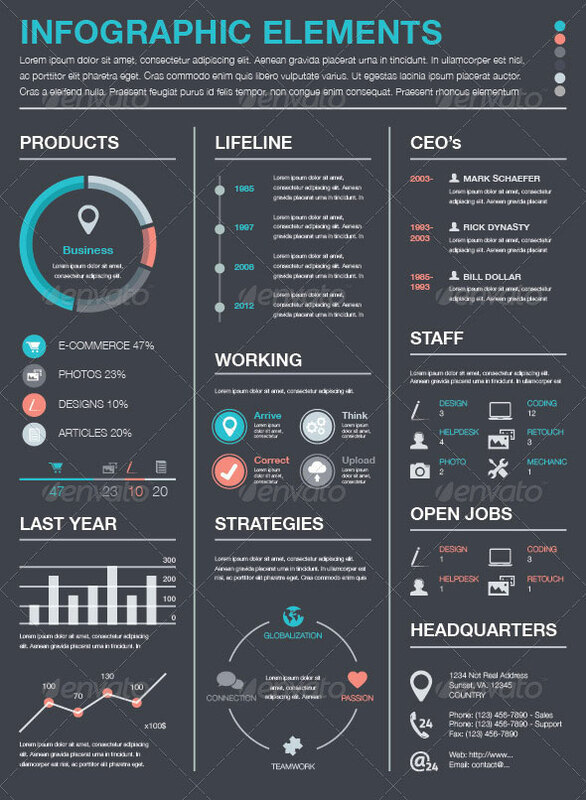 Information technology statistics infographic elements template vector illustration. Fully editable vector file saved as EPS10, CS EPS and AI CS6, objects contains transparencies. Rescale to any size. All elements shown in the preview are included in download. Download here. Large collection of infographic vector templates in business concept. Pies, charts, growth, bar, banners, circle, percent, puzzle pieces and other statistic elements. Fully editable vector file saved as EPS10 and AI CS6, objects contains transparencies. Rescale to any size. All elements shown in the preview are included in download. Download here.